Protestors and police clash in Ferguson, Missouri. For more than a week, protestors have taken to the streets in Ferguson, Missouri, a suburb of St. Louis, following the fatal shooting of unarmed black teen Michael Brown by a white police officer. While the majority of the demonstrations have been peaceful, some have erupted into violence. The Missouri National Guard was called in, and President Obama addressed the nation, urging the public to refrain from violence and to seek healing and understanding. Meanwhile, a grand jury will begin hearing evidence today to determine whether Ferguson police officer Darren Wilson will face criminal charges for the shooting, and the Justice Department has opened a civil rights investigation into Brown’s death. 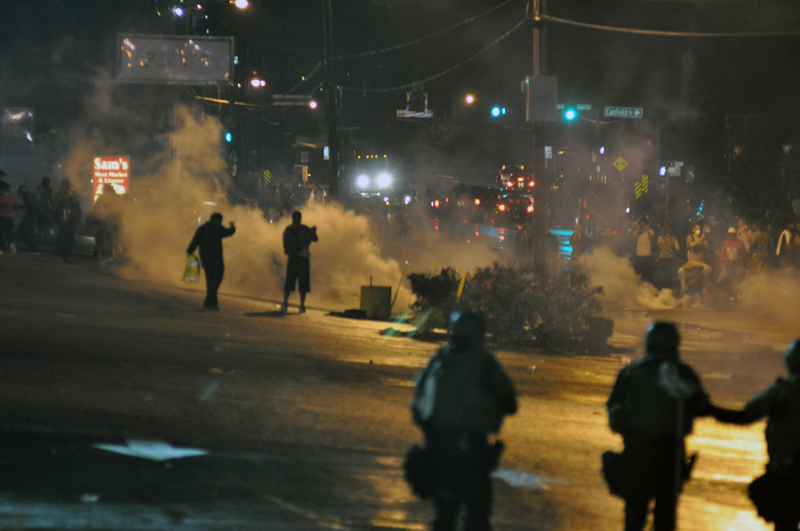 Police use tear gas to disperse protestors in Ferguson, Missouri. Cybercrime and Protesting: Rob D’Ovidio, PhD, an associate professor of criminal justice, can comment on the support for Ferguson shown by hacking group Anonymous, which hacked the Missouri police department’s website and phone lines in an effort to identify the police officer that shot Michael Brown. He can address how cybercrime has changed protesting in recent years. D’Ovidio directs Drexel’s research program in computer crime and digital forensics. His research and teaching interests lie in the intersection of computer technology, crime and the criminal justice system. He has worked with the New York City Police Department and Philadelphia Police Department on research projects and training involving computer crime. Police Misconduct, Police Procedure: Robert Kane, PhD, is a professor and director of the criminal justice program at Drexel. His teaching and research interests center around police authority and accountability, the ecology of urban policing, and the intersections among neighborhood violence, justice, urban health and health behaviors. His most recent book, entitled Jammed Up: Bad Cops, Police Misconduct, and the New York City Police Department (2012) from NYU Press, is the largest and most comprehensive study of misconduct ever conducted in an American police department. Kane can discuss how the Ferguson police department has handled the situation. Political Communication: William Rosenberg, PhD, is a professor of political science and director of the Drexel University Survey Research Center. He is an expert on political communications and public opinion. He is interested in how political messages, often related to race, social justice and politics, are communicated to various publics and the impact of these communications on society. He can discuss political communication by President Obama, U.S. Attorney General Holder, the Governor of Missouri, the Police Chief in Ferguson and political leaders from across the political spectrum to demonstrators and the general public. 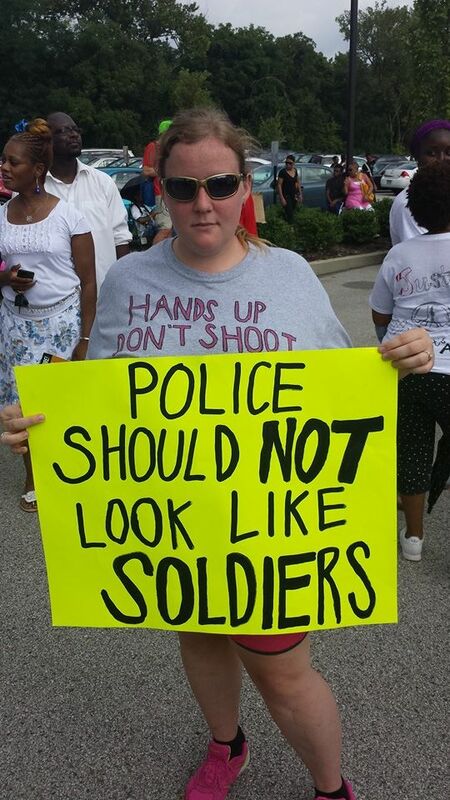 A demonstrator protests police militarization in Ferguson, Missouri. Race and the Law, Civil Rights: Donald Tibbs, JD, PhD, associate professor of law, focuses on the overlapping issues of race, law, civil rights and criminal procedure. He is the author of From Black Power to Prison Power: The Making of Jones v. North Carolina Prisoners’ Labor Union (Palgrave MacMillan 2012). Tibbs can discuss whether or not he thinks police officer Darren Wilson will be charged, and whether the federal investigation of the shooting will reveal that it was a hate crime. Militarizing Police: Scott White, PhD, is a professor of homeland security and security management in Drexel’s College of Computing & Informatics. He is a criminologist with an accomplished career in security. Before his academic career, he served as the director of the Institute of Homeland Security at Westfield State University. He was a commissioned officer with the Canadian Forces Military Intelligence Branch (Department of National Defence) and worked for the Canadian Security Intelligence Service. 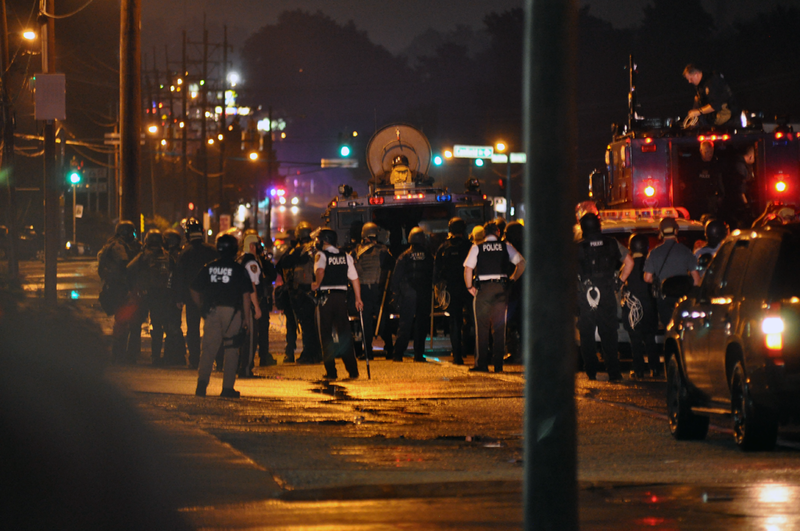 White can weigh in on the debate over the “militarization of police” after armored vehicles, stun grenades and high-tech weaponry were brought in to calm the violence in Ferguson. If you are interested in speaking with any of these experts, you can contact Alex McKechnie at ahm62@drexel.edu or 215-895-2705.